We'd like to invite you all to join our Fleet Feet Sports Racing Team. Fred and I feel like our calling goes far beyond opening our own running store. Our mission is to support, grow and inspire a healthy and active community. I'm sure we've already over-used the word "community," but it's probably one of the most important parts of our decision to open our Fleet Feet Sports store in Mechanicsburg. We truly think running and healthy living can change people's lives, and everyone can be a participant. 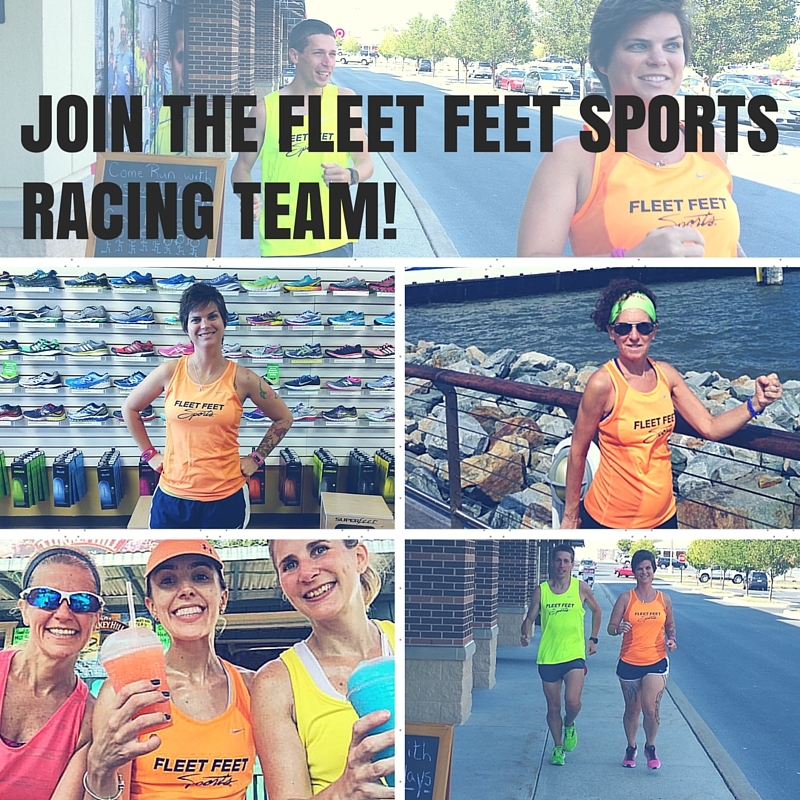 There are no speed, distance or experience requirements to join the Fleet Feet Sports Racing Team. Everyone is eligible. Simply purchase a Fleet Feet Sports singlet in the store and receive discounts off local races, get exclusive deals at Fleet Feet Sports and have the chance to win prizes if you get caught in your Fleet Feet Sports singlet. But most of all, join a group of people who are not only passionate about running, but who are proponents of healthy living, togetherness, and fun.